This video on safe disposal of spilled mercury was produced HCWH's Strategic Partner in South Asia, Toxics Link. 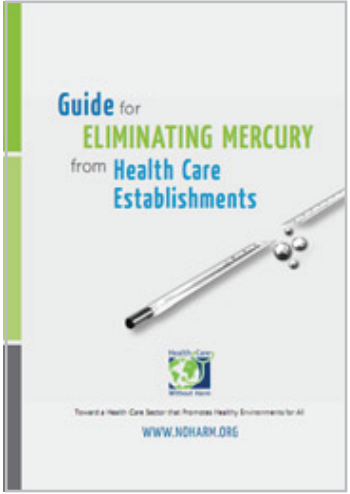 Mercury vapors are toxic and cannot be seen with the naked eye. Nevertheless, they do create a shadow when exposed to a short wave ultraviolet light in a fluorescent background. Alternatives to the Mercury Sphygmomanometer (Abstract) (pdf) (by Susan Buchanan, Peter Orris and Joshua Karliner), Journal of Public Health Policy.